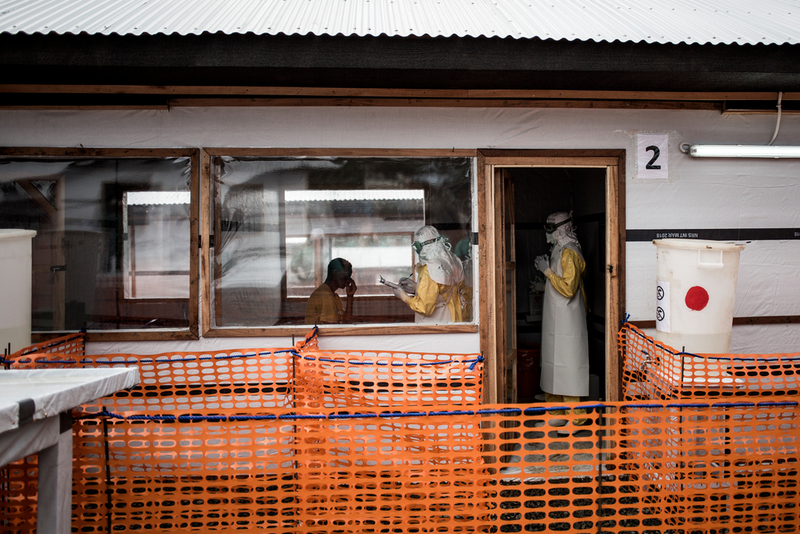 Two Ebola Treatment Centres (ETCs) in North Kivu, Democratic Republic of Congo (DRC) operated by Médecins Sans Frontières/Doctors Without Borders (MSF) in collaboration with the Ministry of Health, have started participating in a randomised controlled trial of four potential Ebola treatments. The trial commenced in November in another treatment centre in the region. Now, MSF ETCs in Butembo and Katwa are beginning to enrol patients. The first patient was enrolled at the Butembo ETC on 7 February 2019, and the team at the Katwa ETC are ready to enrol their first patient. The potential treatments that will be used in the trail are Remdesivir, mAb114, REGN-EB3 and ZMapp. These have been offered to Ebola patients since the beginning of this epidemic under Monitored Emergency Use of Unregistered and Investigational Interventions (MEURI) protocol. The switch from using these treatments under MEURI protocol to a clinical trial is a critical step, with a clinical trial able to generate the scientific data needed to draw conclusions on how effective these treatments are. The trial is overseen by a steering committee convened by the World Health Organization (WHO), and led by INRB (National Institute of Biomedical Research of DRC) and NIH (US National Institute of Health) in collaboration with other national and international actors. The Butembo ETC has a 96-bed capacity, while the Katwa ETC, which opened last month, has a 62-bed capacity. MSF has admitted more than 2,100 patients to these two centres, of which 250 were confirmed cases, with 110 cases recovering.